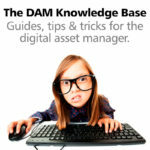 IMatch is a digital asset management system (DAM) for Windows and the Web. See what IMatch can do for you. IMatch supports the Windows Imaging Component (WIC) framework supported in Windows 7, Windows 8, Windows 10 and later versions of Windows. Windows WIC enables applications like IMatch to work with image formats (including RAW files) via so-called codecs provided by camera vendors, Microsoft or 3rd parties. Without the need to know the internal details of a file format, IMatch can handle the files as long as a working codec is installed. Please ensure that you have always installed the latest RAW codec (WIC codec) available from your camera vendor’s web site. This ensures that IMatch can read and reproduce the images with the best possible quality. Camera vendors make changes to their RAW files almost with every camera model. If you work with scanners, microscopes and similar, your hardware vendor most likely also supplies a codec if the scanner emits a proprietary file format. Note: Do not install multiple codecs from different vendors for the same RAW format. Experience tells that this may lead to more or less subtle problems when processing RAW files. Current Windows versions include a set of WIC codecs which support a wide range of common RAW formats. Note that not all camera format variants are supported, though. Over the years, camera vendors introduced dozens of incompatible format variants which all use the same file extension. This complicates the process of providing a WIC codec for all camera models. Contact your camera vendor for assistance if you need more information. Windows 7 does not include the Microsoft WIC codecs. You can download them from the Microsoft web site. At this time, the download link is https://www.microsoft.com/en-us/download/details.aspx?id=26829. If the link no longer works, search for “Microsoft Windows WIC Codec Pack Download”. There are now many different variants of DNG files in use. Adobe has expanded the format many times, creating a large variety of DNG ‘flavors’ over time. DNG files produced by software from other vendors, cameras and other imaging devices also comes in different versions. Make sure that you always use the most recent version of whatever DNG codec you prefer generating 100% previews in ACR or your camera is usually the best way to get consistent results across a wide range of applications. This is a list I compiled from various sources. Let me know if a vendor is missing or a link is wrong. See also this Wikipedia article for more information about WIC and the Microsoft Windows Imaging Component Overview. If no WIC codec is available for one or more RAW variants you use, IMatch uses its built-in RAW processing pipeline based on LibRaw to create thumbnails and cache images. LibRaw is an awesome OpenSource project which is actively maintained and supports hundreds of RAW format variants. They also offer an excellent and affordable software called FastRawViewer for viewing Raw files on the Mac and Windows. Under some conditions an installed WIC codec may be able to extract an image, but that image is too small or ‘does not look good’. IMatch will use that image anyway because it has no way to tell that the WIC codec delivered an image but it is not very good. If you run into this situation, you can force IMatch to ignore installed WIC codecs and always use the photools.com RAW processing pipeline via Edit menu > Preferences > Application. Search for RAW on that page and set the option Prefer photools.com RAW processing to yes. Then force a rescan of the files with the ‘bad’ thumbnails/cache images by selecting them in a File Window and pressing Shift+Ctrl+F5. IMatch now ignores WIC codecs and always processes RAW files with internal routines.